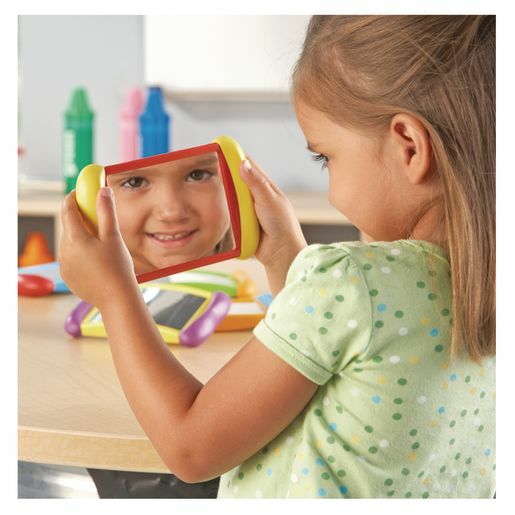 Two-sided unbreakable mirrors encourage body awareness and language development. 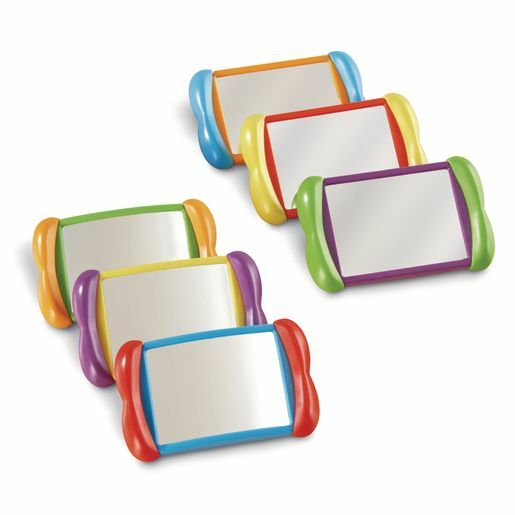 Standard mirror on one side and "fun mirror" on the other. Set of six 4.5" wide mirrors.